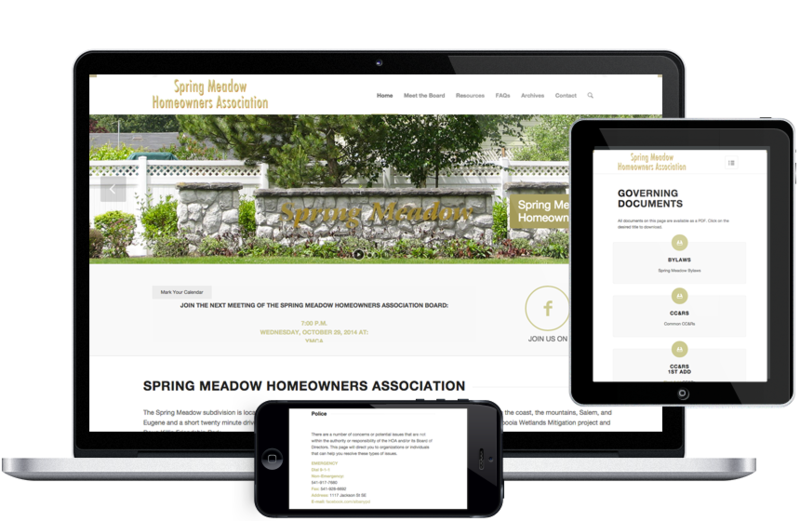 Spring Meadow HOA wanted a no nonsense website for their homeowners. They wanted an easy-to-navigate site that would also provide community resources and home owner information as well as Facebook integration. We provided a simple website and the training for them to update the site on their own. They also required a number of forms and dedicated email addresses to handle the business of the association.